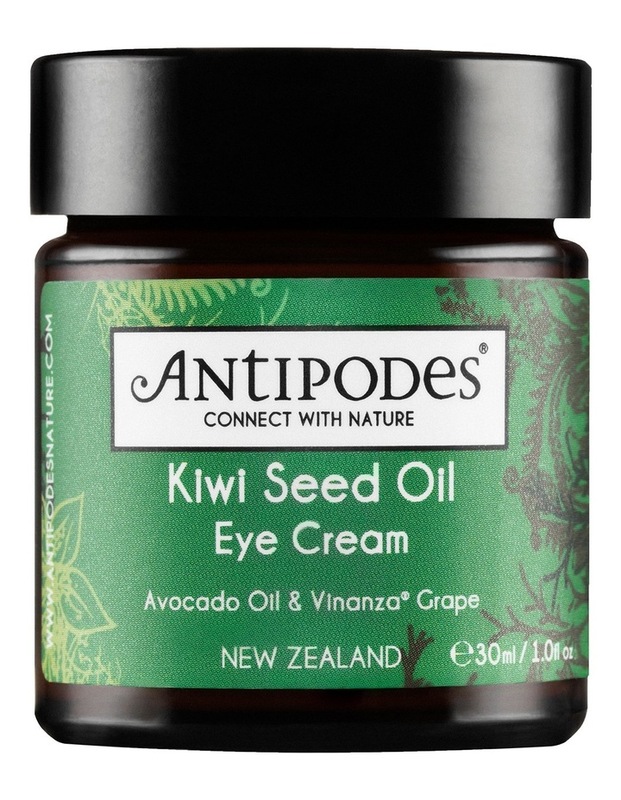 Kiwi Seed Oil Eye Cream features ultra-rich vitamin C from the seeds of New Zealand kiwifruit and revolutionary antioxidant Vinanza Grape, clinically shown to improve elasticity and firmness in skin, which work together to help rescue damaged tissue in this luscious yet light eye cream. Fragrance free and suited to most skin conditions, especially combination, Kiwi Seed Oil Eye Cream also features nutrient-rich avocado oil, which helps reduce the appearance of fine lines, age spots and scars, and carrot seed oil which is high in antioxidants and helps protect your skin against ageing. Kiwi Seed Oil Eye Cream is fragrance-free and suited to most skin conditions especially oily. Scientifically shown to stimulate Type I collagen production in human fibroblast skin cells by up to 82%. Certified vegan by the UK Vegetarian Society (VegSoc).